If I feel a headache coming on, I rarely have more than five minutes or so to pop some Tylenol and sit still before my son inevitably needs something and I’m back on my feet. 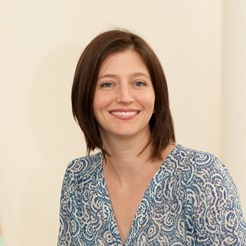 Heating pads are my lifesaver: A quick application of heat definitely helps ease the stress on my neck (which is often the source of my headaches to begin with). My go-to is this DIY heating pad. I just pop it in the microwave* for a few seconds and let the heat temporarily melt off the stress. Bring the spa into your home! While shopping for fabric select calm, dreamy tones. 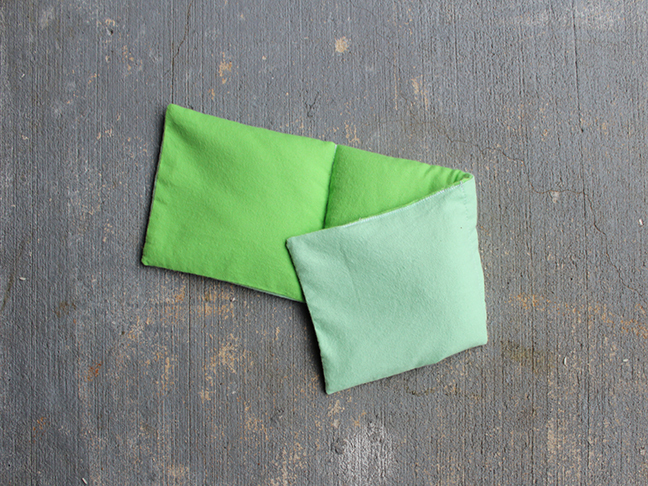 Use a different color on each side to give your heating pad a unique touch. 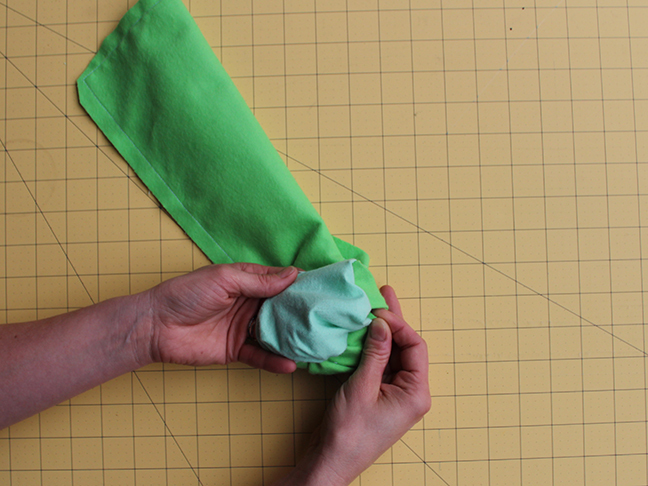 Step 1: Lay fabric horizontally on work surface. Hand press wrinkles out. 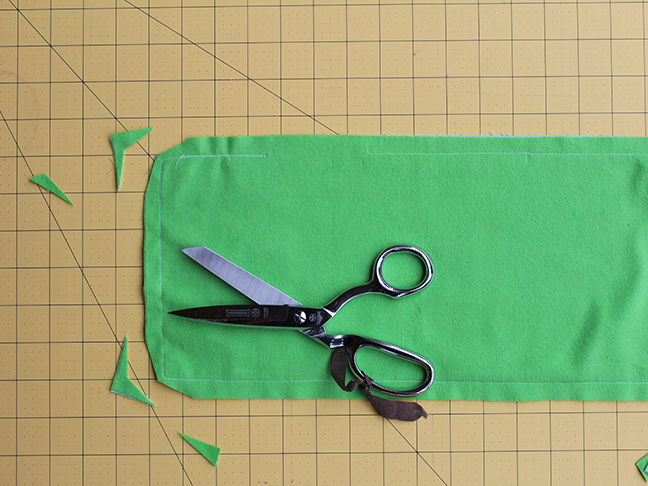 Using scissors or a rotary cutter, cut a rectangle measuring 22″ x 7″. 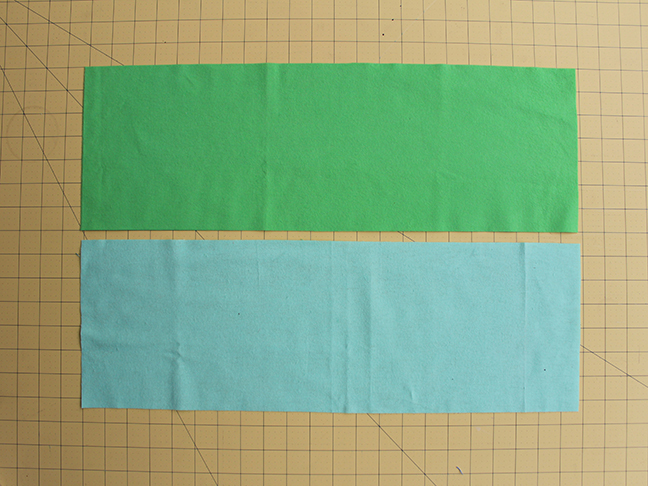 Cut another rectangle in the other color. 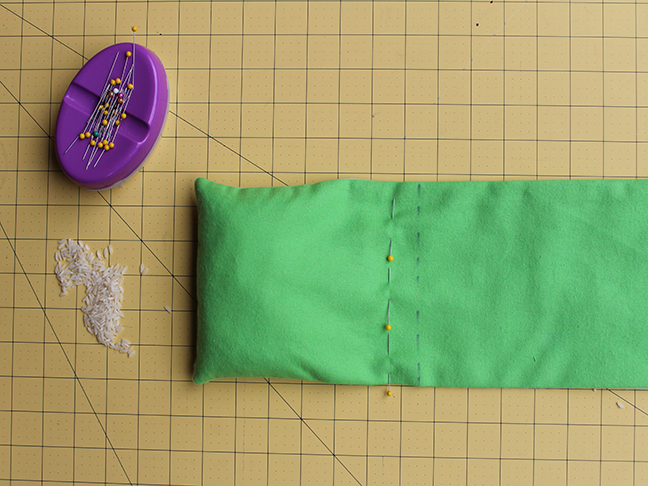 Step 2: Lay right sides together and pin along the edge. 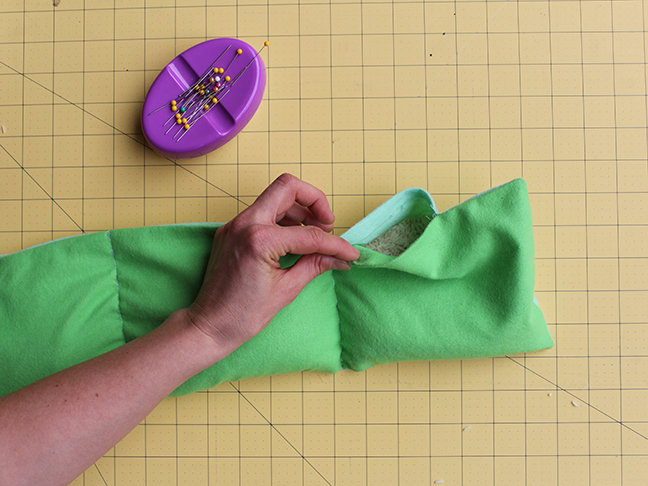 Place into sewing machine and stitch together with a 1/2″ seam allowance. Leave a 2″ – 3″ opening at the top right hand side. Backstitch at each end. Step 3: Trim each corner. Press the seams with an iron. Step 4: Turn right side out. Wiggle each corner into place. Press seams again to lay flat. Step 5: Place rectangle back onto working surface. Hand press wrinkles out. 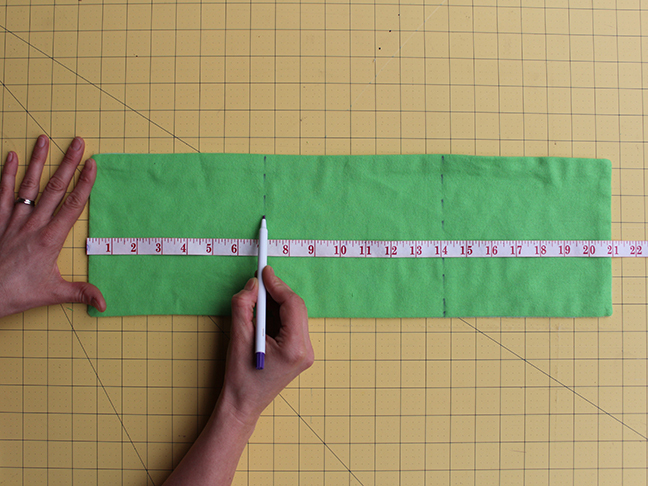 Starting from left hand side, measure 7″ inwards. Mark a dashed line with the disappearing fabric ink pen. Measure another 7″ and mark another dashed line again. The creates 3 compartments for the rice. Step 6: Pour rice into the measuring cup. Pour a small amount into rectangle opening. Wiggle around to have the rice fall into far left side. 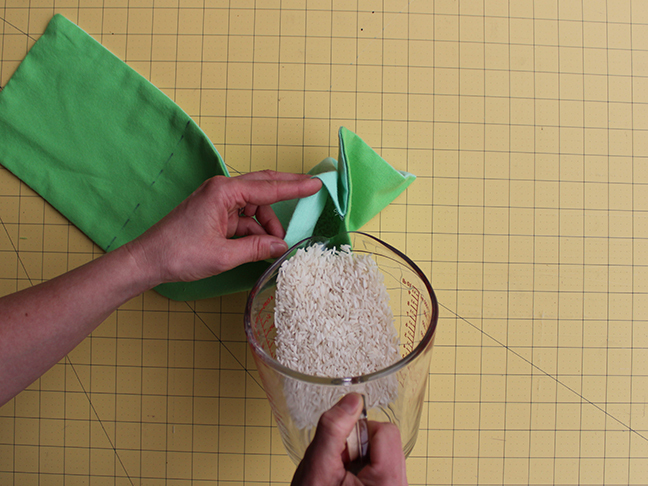 If needed, pour more rice into the rectangle. Do not overfill, leave enough room to have rice jiggle about. Step 7: Lay rectangle back onto working surface. Make sure rice is only in left side. Pin along dashed line. 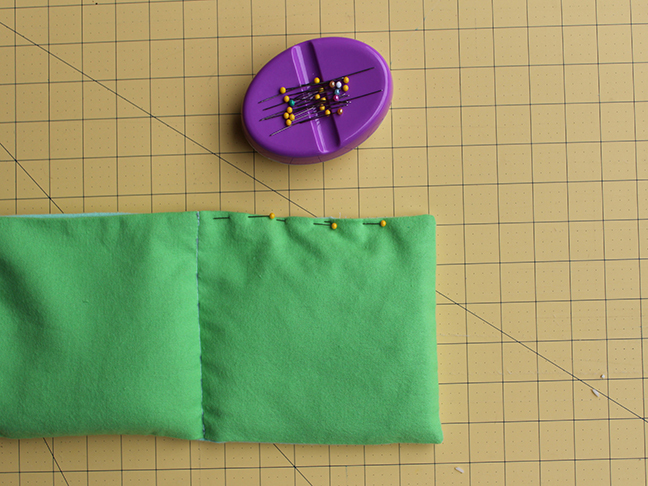 Place into sewing machine and stitch following dashed line. Backstitch at each end. Step 8: Repeat and fill rice into middle compartment. 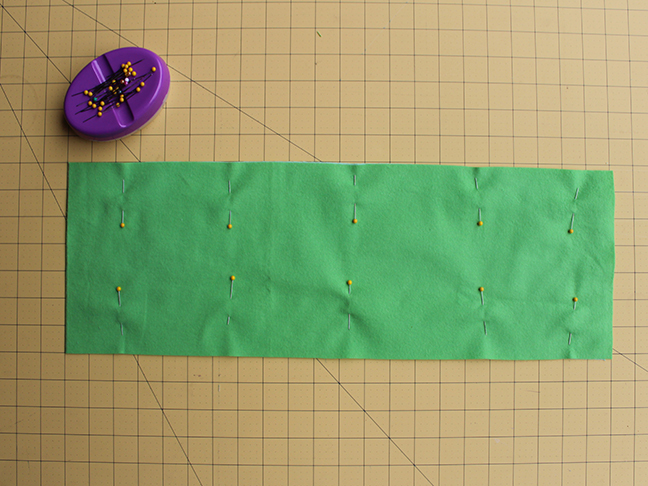 Pin in place and sew along the dashed line. Repeat again for final/3rd section. Step 9: Pin the opening closed. Place into sewing machine and stitch closed. Backstitch at each end. Choose cotton fabric. There should be NO metallic or sparkly elements in the fabric. *All microwaves heat differently. Test heating the pad in small increments.